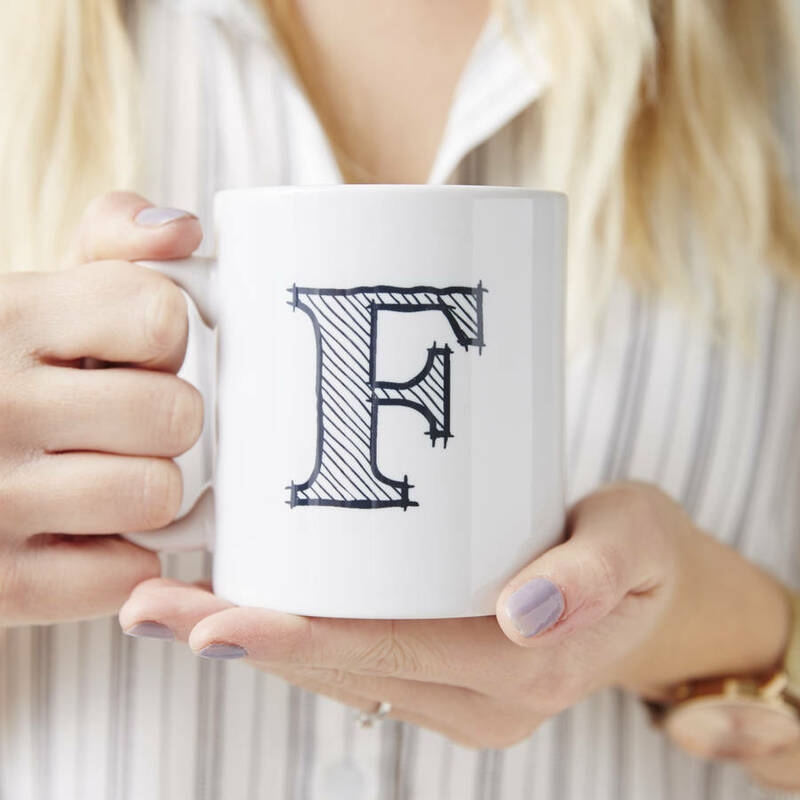 A personalised monogram mug, perfect for coffee lovers! A must have for any household or office - personalise with your initial. 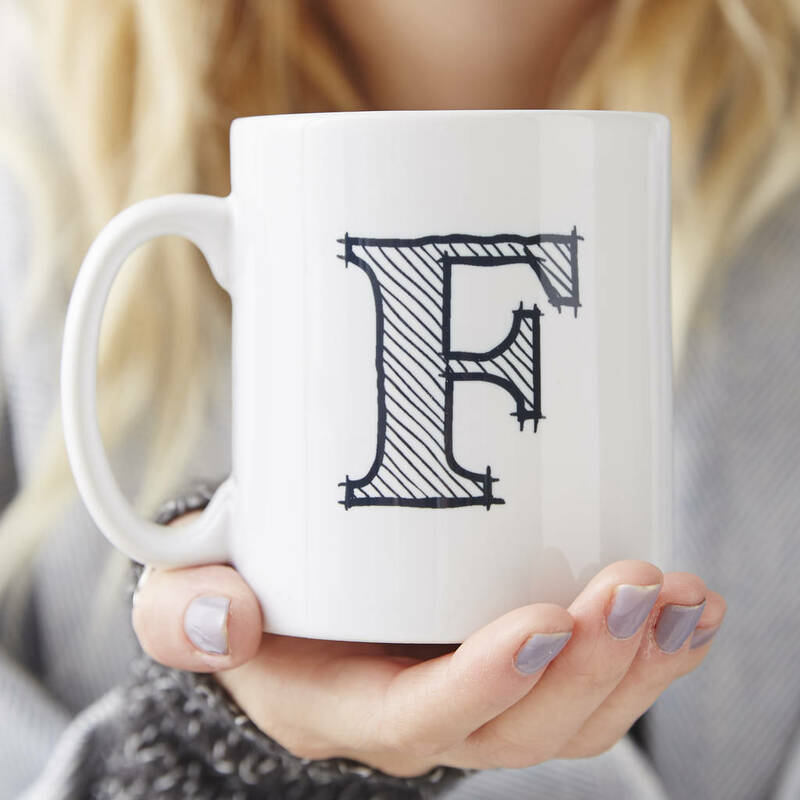 A lovely, simplistic monogram initial mug. A great personalised gift idea for any friends and family! Personalise with your chose initial. These make a thoughtful gift for all occasions, Birthdays, Weddings, Anniversaries, Valentines, Christmas, Mother's Day, or a perfect treat for that special friend or family member.